Utah is perhaps best known for its Great Salt Lake, the Mormon faith and its numerous gorgeous state parks. But it's also where both the Frisbee and that staple of comedy -the rubber chicken - was invented. 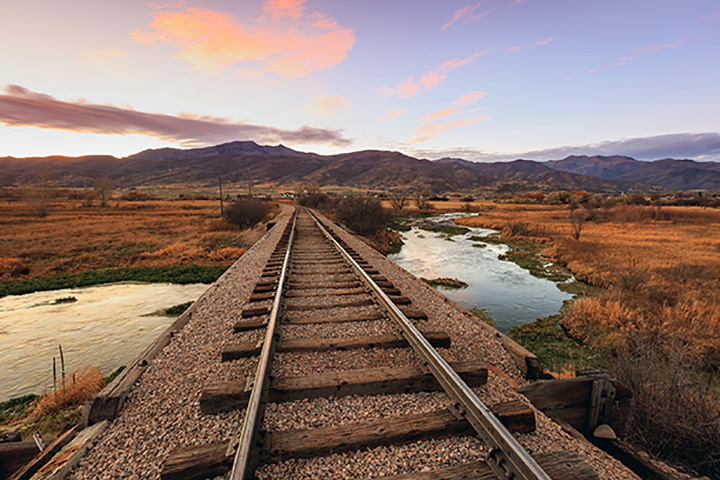 Ever since 1924, its unique landscape has made it a popular place for filming movies and TV shows like "Gunsmoke" and "The Outlaw Josey Wales." Some of thefamous folk from Utah include Robert Redford, Roseanne Barr and the Osmonds; the state is home to the biggest consumption of Jell-O in the country. When you're done chowing down on the sweet stuff, check out 20 other cool things to do. This little public park is packed with quirky sculptures and offbeat art pieces. It's considered a "hidden gem" in Salt Lake City. Of course you want to see this massive lake, the largest saltwater lake in the Western hemisphere. It's seven times saltier than the ocean, so swimming isn't too popular; but seeing it by boat also provides some stunning views of the nearby mountains. It's one of the most popular parks in the state, with astounding red rock formations and a variety of hiking options. The landscape is totally surreal. Hiking this 16-mile stretch in Zion National Park is on many a bucket list. You're surrounded by high sandstone formations, hanging gardens and more - but be warned, you have to wade through the Virgin River at many points. It's not as crowded as many of the state parks, and the views are amazing. The enormous stretch of land is perfect for hiking, camping and birdwatching. Or just drive the wide-open spaces on an ATV. Three beautiful natural bridges, important to Native American culture, can be accessed via an easy hike. The views from the top are spectacular, but be sure to stand beneath them too to get a true sense of their size and scope. Utah seems to have a "salt" thing. These barren flats are astounding, stretching out endlessly into the distance. The more daring types use them to set land speed records; but just driving across them at normal speed is an adventure. There are several places in Utah to indulge in winter sports, but Park City stands out. Besides the excellent skiing and snowboarding, it's known as a hotspot for cultural and hipster activities. So even if you don't do the snow thing, you're guaranteed something cool to do.